"A majority of patients with PCOS have insulin resistance and/or are obese. Their elevated insulin levels contribute to or cause the abnormalities seen in the hypothalamic-pituitary-ovarian axis that lead to PCOS." "We really believe that the fertility diet so to speak is a low-carb diet. We really encourage our patients to get down to zero carbs." To Fox, this means eating meat, poultry, fish, eggs, low-carb dairy (butter, heavy cream), and vegetables. He follows a diet including "almost no carbs." He feels "stronger at age fifty than at age thirty five." "We definitely think saturated fat is probably the best fat for humans." Before using carbohydrate-restriction, 40-50% of his patients got pregnant using drug therapy, and the remainder had to use in vitro fertilization (IVF) to get pregnant. After incorporating the primal diet approach, "almost none" of his patients need IVF to get pregnant. This exemplifies bottom-up knowledge arising from practice, as opposed to the top-down knowledge arising from the ivory towers of academia. Fox doesn't put women on high-fat, low-carb diets for only five days, checking on surrogate end-points like transient and minor alterations in cellular metabolism or blood levels of various lipids so he can "prove" something about high-fat diets. He guides them to eat meat-based practically paleo diets for long periods of time and looks for the end-point that matters: pregnancy in this case. Know someone with PCOS? Share this with them: Sugar is poison, meat is medicine. that was a cool little interview, but watching Dr. Fox I was thinking of something else- his hair. There's another low-carber in the over 50 age bracket with a full head of hair. Is there much consensus or research on that? One of my friends had two ovarian cyst. I told her to go low carb, high fat. She was vegetarian so not much meat. The diet is not as good as it can be but she still lost her cysts. I have PCOS and have been following paleo/primal for over two years noticing a great reduction in the symptoms. I was able to get pregnant with drug therapy alone which was a huge relief. (IVF was not an option for us). I also fall into the "lean PCOS" category. My doctor think it's because I'm lucky although I try to tell her it's due to my lifestyle. Thanks for helping to get the word out about PCOS and the low-carb connection. "High-glycemic-load carbohydrates, by inducing hyperinsulinemia, along with a concomitant elevation of serum androgens and reduction in SHBG (Fig. 4) represent a likely environmental agent that may in part underlie the promotion of male vertex balding. In support of this endocrine cascade are studies showing that men with higher serum levels of testosterone and IGF-1, and lower circulating concentrations of IGFBP-3 were more likely to have vertex balding (Signorello et al., 1999; Platz et al., 2000). However, it is not known at present if elevations in IGF-1 and reductions in IGFBP-3 are directly involved in the origin of male vertex balding, or if they are simply markers for elevations in circulating androgens that are known to promote baldness (Randall et al., 2000). Nevertheless, the male vertex balding pattern is strongly associated with other Syndrome X diseases,such as CAD and hypertension (Lesko et al., 1993; Lotufo et al., 2000)." Good for you, and sorry that your physician has a closed mind. Great post. I had read elsewhere about Dr. Fox's practice but it's much more powerful to see and hear him on a video. I've heard PCOS described as "diabetes of the ovaries", which Dr. Fox's experience seems to support. My two cents on the PCOS issue - I got the worst case of it (with no issues before or after - I was a meat eater all the time though) the moment I went on a low-carb ketogenic diet. I didn't get my period for 6 months. It came back only after I increased carbs a bit (or maybe my body adjusted?)... So my point is, diets obviously don't work the same for everyone. And I fall into the lean camp too, actually I was the skinniest ever when my PCOS was the worst. It was only after 2 years of LC and trying out all possible variations of it that I realized it is not doing me good at all and abandoned it. Did you just lose your period or did you actually have ovarian cysts and a PCOS diagnosis via blood tests showing hormonal imbalance? I ask because you say you were leaner than ever when on ketogenic diet. Too lean can make you lose your menses but not be due to PCOS. I have been chasing a PCOS diagnosis for around 10 years now and I'm told I don't have it although I have the signs. The doctors don't know what causes the acne and the excess body hair and sometimes hairloss. It's extremely frustrating. I was told to just accept it and move on. I had PCOS confirmed by a doctor (he wanted me on birth control immediately, which I refused) and I felt it myself (ovarian pain), so no doubt about it. It was weird because I kept reading how this diet is supposed to cure PCOS. But I later heard about this happening to other people on LC so I guess I'm not alone. Despite all this I still stuck to the diet for a while because it worked for some other issues I was having. However, eating lots of carbs for quite some time now I didn't have any of these issues come back. I think we think too little about balance. Probably a nutritious LC diet fixed some deficiency I had, or maybe avoiding oils was what helped me. But it doesn't mean it's the ultimate diet for me, or that "more is better". Same thing with many ex-veg*ns who did it wrong and ran into problems who then go LC. Why not just add some meat to your food, like the amount your body requires? Is it possible that your mind used the fallacy of post hoc ergo propter hoc, i.e. “it happened after I adopted the low carb diet therefore the low carb diet caused it”? Seems possible to me since PCOS doesn’t come on in a moment. It takes a long time to manifest. I think it is possible that it was brewing for a long time, and just happened to surface after you adopted a low carb diet. It seems possible that the LC phase restored your endocrine function, but because you increased carbs just before the period came back, your mind made the conclusion that the carbs brought the period back. In the first, LC is “not doing me good at all” and in the second “I still stuck to LC for a while because it worked for some other issues.” The body is a unit, so if a diet is improving health in any area, it is improving health in all areas. Just some areas take more time to respond than others. IOW, LC did work for you. That LC helped you in other areas agains suggests that LC didn’t cause your PCOS, and that it may actually have helped it (taking 6 months to do so). The fact that some of those issues have not YET returned is just a reflection of the lag time that always occurs with diet changes. Just as it apparently took 6 months for amenorrhea to correct with LC, it will take some time before you see the ill effects, if any, of eating too much carbohydrate (if you are eating too much for you, I don’t know). I agree with what you are saying but it's possible that some people have trouble with LC, when not done properly. Don, you mentioned a few times that you don't recommend going under a certain amount of carb or under a certain amount of calories due to possible effects on thyroid. I think some people need 'troubleshooting'. It's not that easy to change to LC after a lifetime of SAD. (In my experience, you only cut certain food groups and meals that include those) I've heard of women losing their period on LC, there was a discussion on Richard's blog I think. Other issues might be caused by certain nutrient deficiencies. I still have unresolved very high LDL cholesterol that previously was normal and low T3 (not measured before starting LC, because it's not standard procedure, they only look at TSH) My gum disease hasn't improved, my acne hasn't improved, I suffered from hairloss a year ago while on LC. LC is not a cure all, there might be previous problems it can't eliminate. "I think some people need 'troubleshooting'. It's not that easy to change to LC after a lifetime of SAD." Completely agree. Yes, true that I generally don't recommend going to so-called zero carb, because it may cause certain nutrient deficiencies. OTOH I have plenty of experience including my own that after a lifetime of high carb, the body may need several years to normalize certain functions. I see this a lot with elimination. High carb/fiber diets cause the colon to expand and distort. 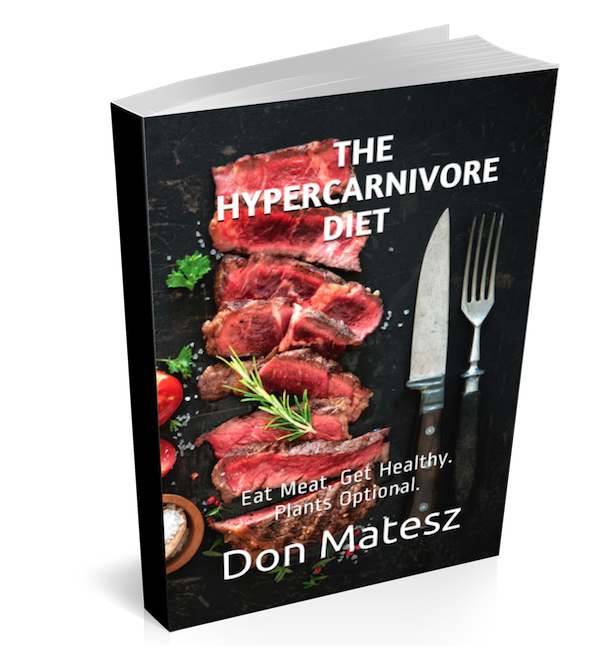 It can take months or even a couple of years for it to return to a normal size and function really well on a low carb diet. "I've heard of women losing their period on LC, there was a discussion on Richard's blog I think." I see a lot of women who lose their period while eating a "normal" diet. They come to me for help. Eating too little, getting too lean (very possible on low carb), iron deficiency (not enough red meat), stressful events, or just adjusting to a new regime can cause someone to lose menses temporarily. The problem I see often is, when the change happens after a new diet started, its blamed on the new diet, but if it starts while on standard diet, few expect the diet. Stress is huge in women's issues so I don't automatically think diet unless there's an obvious deficiency (anemia, etc.). "Other issues might be caused by certain nutrient deficiencies." "I still have unresolved very high LDL cholesterol that previously was normal and low T3 (not measured before starting LC, because it's not standard procedure, they only look at TSH)." High LDL is not a disease or disorder. Usually they look at TSH and T4. Your stuff starting to sound like iodide and selenium deficiency. "My gum disease hasn't improved, my acne hasn't improved, I suffered from hairloss a year ago while on LC." If you have been at least 90% compliant with paleo low carb and not eating dairy (important to eliminate when you have acne), then it sounds like you might have a serious oral infection. Temporary hairloss is another stress-related symptom. "LC is not a cure all, there might be previous problems it can't eliminate." I agree, and also reiterate that diet is not the only cause of dis-ease. Stress/anxiety/worry and chronic infections have a profound effect on physiology. Unfortunately, I have seen many people go from diet to diet looking for a cure when their problems were to an outsider clearly due to stress, unhappy relationships, and so on. Changing diets actually can distract the person from dealing with the real issues.